"Our stay at Brian and Sue's homestead was exceptional and we thoroughly enjoyed our time in the Hawkes Bay region. We would thoroughly recommend staying with Brian and Sue to anyone!" "We had a wonderful two nights at Redcliffe. Sue and Brian are fantastic hosts and we loved all the food they offered for breakfast, including freshly cooked muffins. We had a great time." "Thank you Sue and Brian for your wonderful hospitality. We felt very welcomed and comfortable, and enjoyed our breakfasts and conversations with you. We would definitely return and would highly recommend Redcliffe Homestead. Regards"
"What a wonderful place to stay! Sue and Brian, our hosts, made us feel so welcome and their standards are very high. It was a real pleasure to spend two days there and we will return!" "A delightful stay in a lovely house with a delightful garden - thank you. The hosts are charming. We really appreciated the environmental sensitivity." "We were made so welcome. The facilities were extremely comfortable and the location was convenient and quiet"
"We had a wonderful few days staying with Sue and Brian and their lovely two Labradors. Bed was super comfy and food, wine and company was fabulous. Thank you. You were great hosts. I would highly recommend your place." 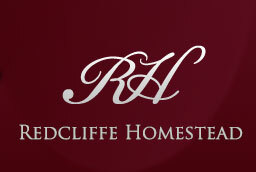 "We had a very relaxing 3 nights at Redcliffe Homestead. Beautiful room and well appointed bathroom. The hosts were both very friendly and informative of the area. Will gladly return if we venture this way again. " "Dear Sue and Brian, we have spent some marvellous days at your place. You were great hosts. The place is beautiful. Very comfortable rooms with excellents bed and a very comfortable and clean bathroom. We will definitely come back, if we decide for another trip to New Zealand. 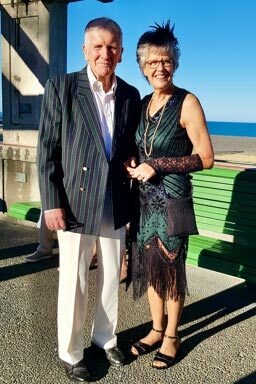 kind regards, Cor and Irma de Vries"
"Dear Sue and Brian, Thank you for the wonderfull stay, we enjoyed it so much! You made us feel at home, it was all so relaxing. We had interesting conversations, sitting together at diner and breakfast. We loved the garden and the two ladies... and the black boys. Unforgettable memories of you both!" "Had a fantastic time. Could not have been better. These guys are the best. The property is amazing. Everything was better than we could have imagined. Date muffins were amazing. Would love recipe. Would recommend to all!!" "Thank you, Sue and Brian for such a lovely stay. The meal on our first evening was absolutely lovely, especially after a tricky day’s travel, we much enjoyed your company ... and that of the dogs, of course! Particular thanks to Sue for those lovely breakfasts, and for delivering beautifully folded dry laundry back to our room. " "Thoroughly rewarding experience thank you Sue and Brian. We loved your enthusiasm for your house and property as well as the wider region. Warm welcome, beautiful home, lovely garden setting and delicious muffins!" "Phantastic people, very helpful with all your questions. Sue is a very good cook, don't miss dinner and the interesting talks with your hosts! Beautiful garden, we can only recommend the place. " "We booked the Burgundy Room for 2 days in February. Redcliffe Homestead has been such a nice place and Sue and Brian have been fantastic hosts. So we spontaneously decided to stay one additional night. Also our 9 months old daughter loved this place - especially the two very child-friendly dogs. We enjoyed the familial atmosphere and nearly felt like a part of the family. If we will get the chance to visit New Zealand again, we would definitely come back for a few nights!"